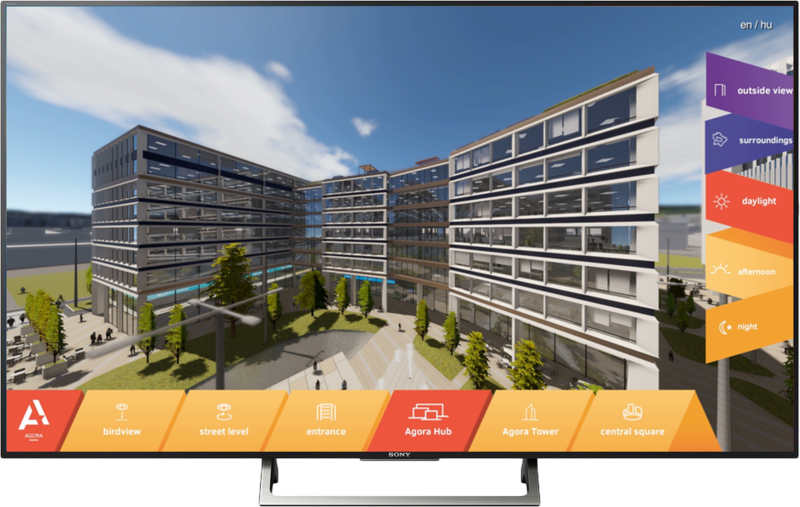 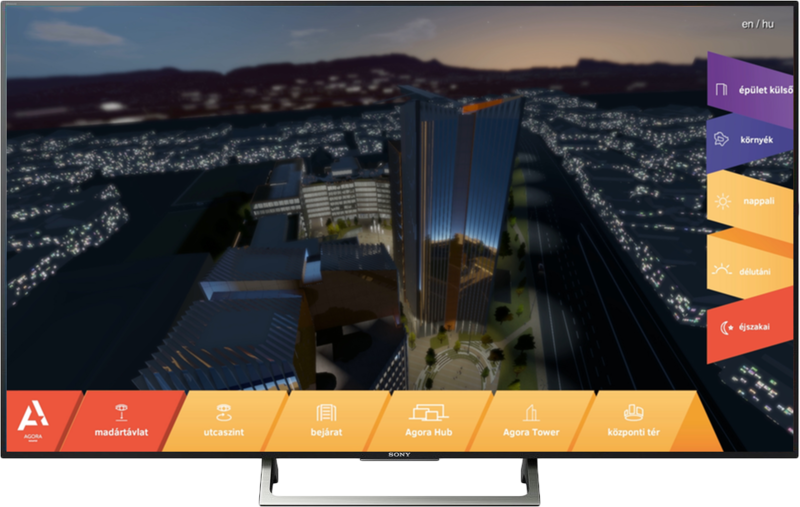 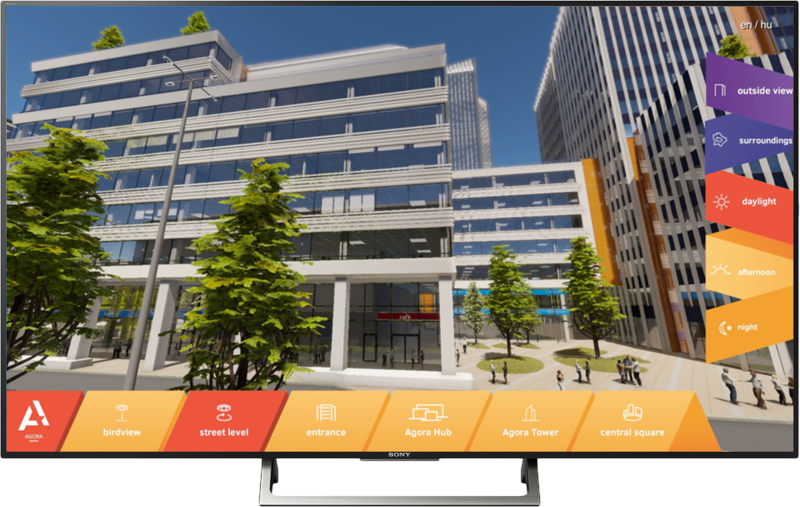 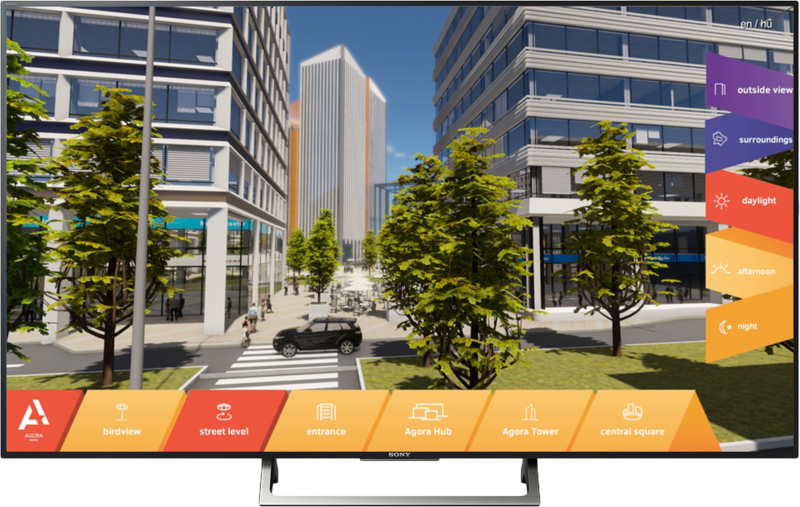 ARworks developed a great sales and marketing tool for HBreavis’ Agora project by maximizing the technical possibilities lying in 3D visualisation and interactive touch screen technology. 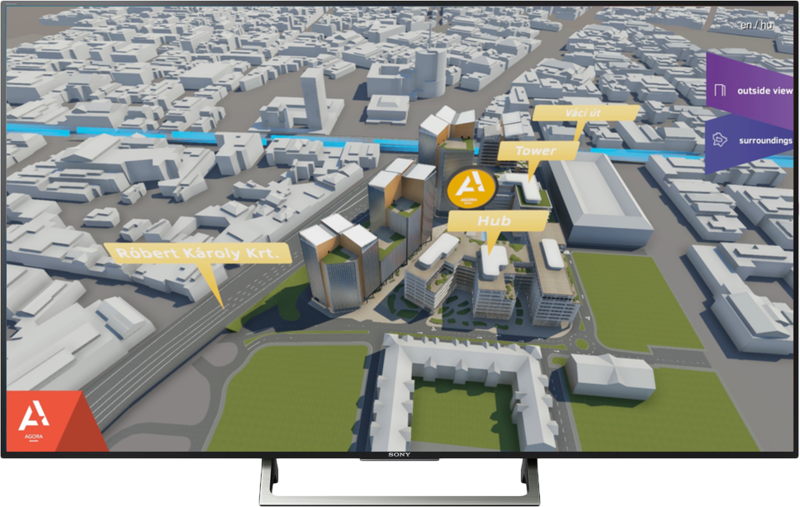 Potential tenants and other stakeholders could experience at first hand and actually walk through this complex real estate development which will be built at a central point of Budapest. 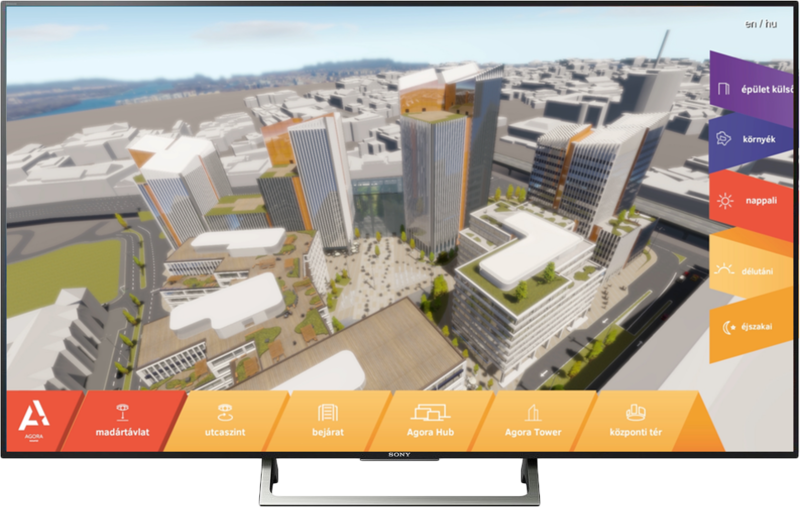 The full detailed 3D model of the future location was prepared so clients can explore any part o the 6 building venue – the enclosed Agora, the subway station or the shops on the first two floors. 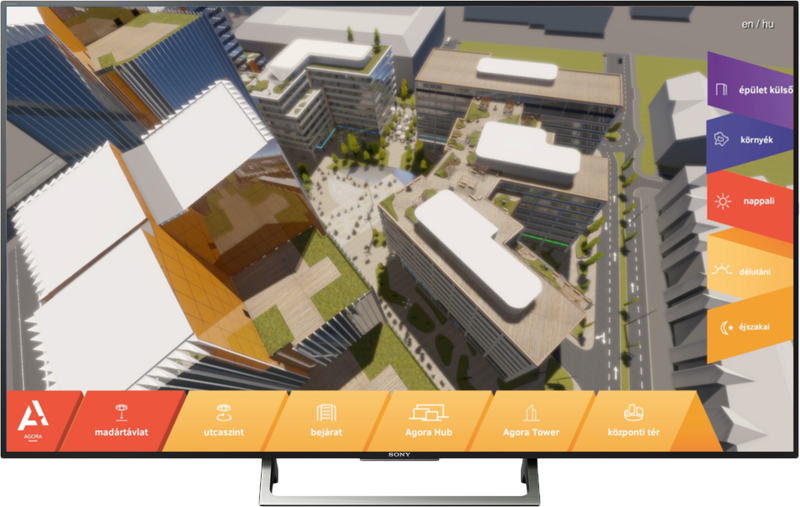 Any of the 5 different camera movement paths can be selected to visit all parts of the site. 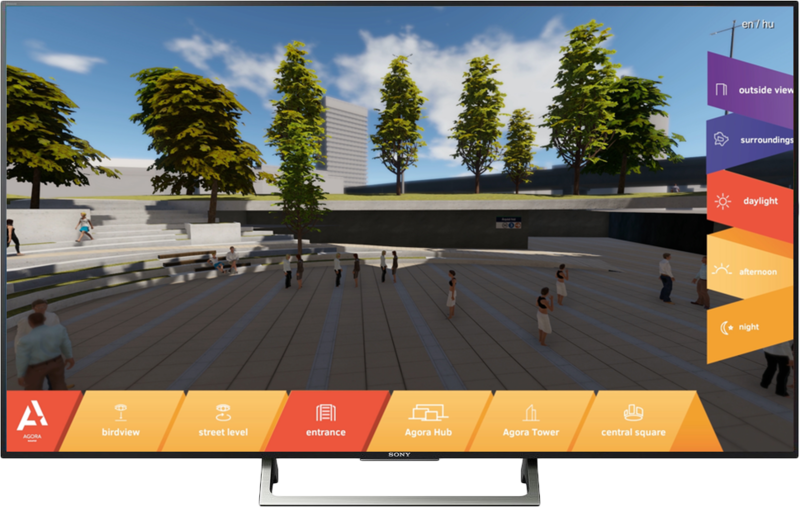 Also, as a special feature, an afternoon and night view is included, therefore the shadows and lights can be experienced, too. 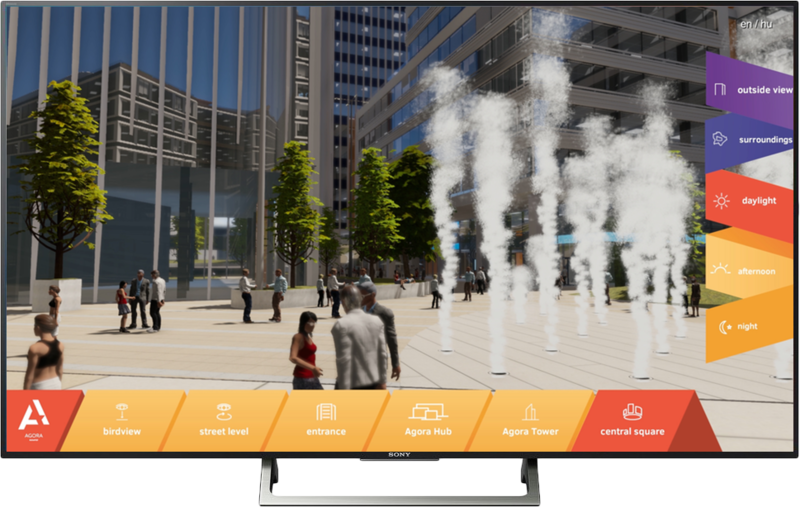 Touchscreens – the huge tablets – are living their reneissance since they are a great to support all kinds of business situations – sales, training and even controlling and data visualisation.